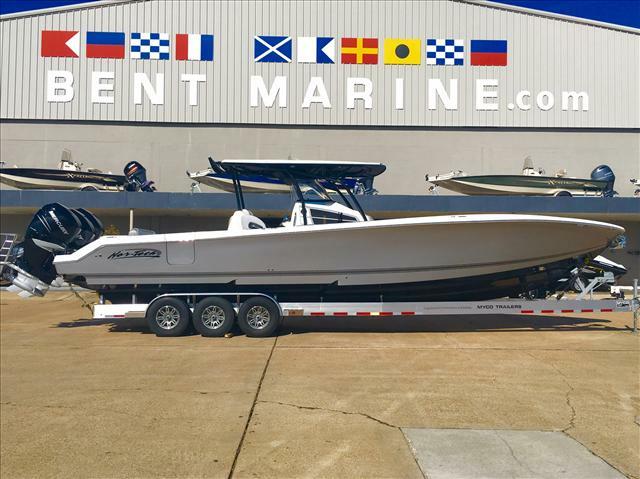 2017 Nor-Tech Nortech 390 Sport Open Hull Slot #139 Now Available f you are looking for the best all around center console on the market then look no further than the Nor-Tech 390 Sport Open. We have combined the perfect blend of features, comfort and luxury to satisfy anyone looking to cruise, entertain or dive and plenty of fishing amenities for the serious angler. The 390 has now become a popular choice for yacht owners to be used as a towing tender. AVAILABLE OPTIONSTriple or Quard Power OptionsBow ThrusterAuto PilotDual Garmin Screens Custom Sea-Dek FlooringCustom PPG Cobalt Blue Metallic PaintSoFlo Premium Upgrade Package (Inquire)Premium JL Audio / Upgraded Amps & SpeakersPowered WindlassCustom Oversize Hard TopPremium paint Ask for the "SoFlo" luxury Package! 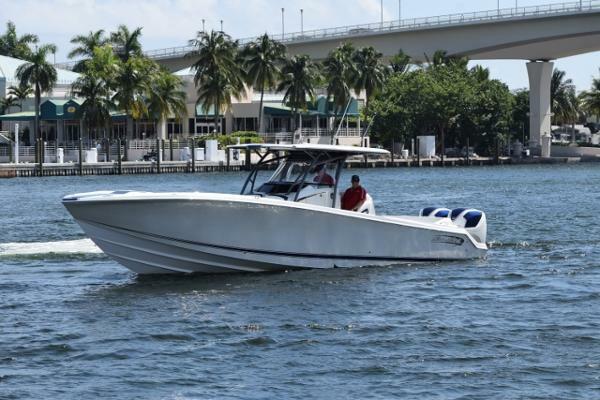 2015 Nor-Tech Nortech 390 Sport Open If you are looking for the best all around center console on the market then look no further than the Nor-Tech 390 Sport Open. We have combined the perfect blend of features, comfort and luxury to satisfy anyone looking to cruise, entertain or dive and plenty of fishing amenities for the serious angler. The 390 has even become a popular choice for yacht owners to be used as a towing tender. 2013 Nor-Tech 340 Sport Open Center Console Nor-Tech 340 Sport has become one of the most popular mid size center consoles on the market. 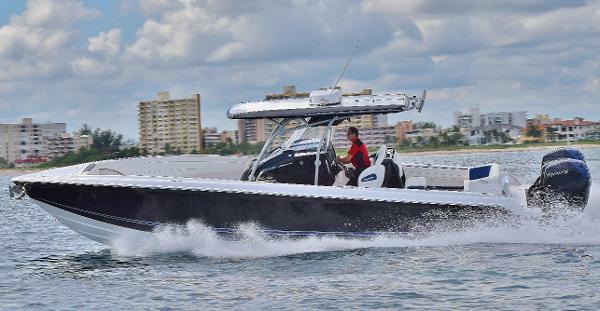 A perfect blend of features, comfort, luxury and performance to fulfill a wide range of boating needs and lifestyles.Following up on the success of the 390 CC, Nor-Tech the 340 Sport CC utilizes most of the interior features of the 390. Just like all Nor-Techs, the 340 can be customized to fit your boating lifestyle and needs. The 340 is offered with a standard length console or the popular sun lounge and mid cabin/ head compartment similar to the 390. The 340 has proven itself to be the fastest and most efficient hull in its class. For those seeking more speed, the triple 300's will carry this 340 well into the mid 70 MPH range. That said, the boat eases onto plane with little or no bow rise and can stay on plane at speeds as low as 12-15 MPH. Of course all of this performance comes with the added bonuses of exceptional rough water handling, stability and an extremely dry ride. 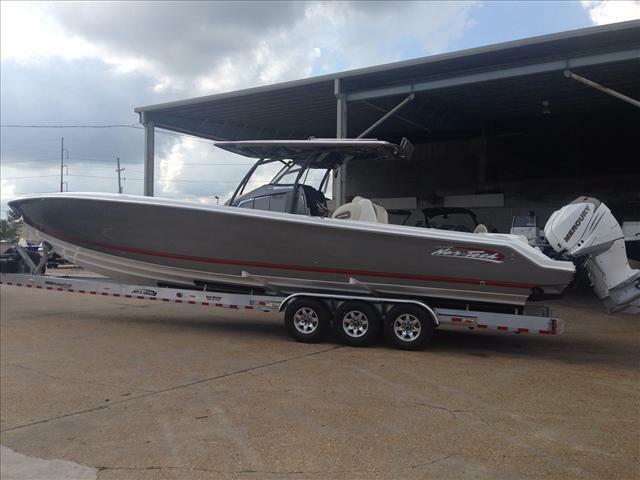 2013 Nor-Tech 340 Sport Open Center Console Nor-Tech 340 Sport has become one of the most popular mid size center consoles on the market. A perfect blend of features, comfort, luxury and performance to fulfill a wide range of boating needs and lifestyles. PRELIMINARY LISTING MORE PHOTOS TO COME!Following up on the success of the 390 CC, Nor-Tech the 340 Sport CC utilizes most of the interior features of the 390. Just like all Nor-Techs, the 340 can be customized to fit your boating lifestyle and needs. The 340 is offered with a standard length console or the popular sun lounge and mid cabin/ head compartment similar to the 390. 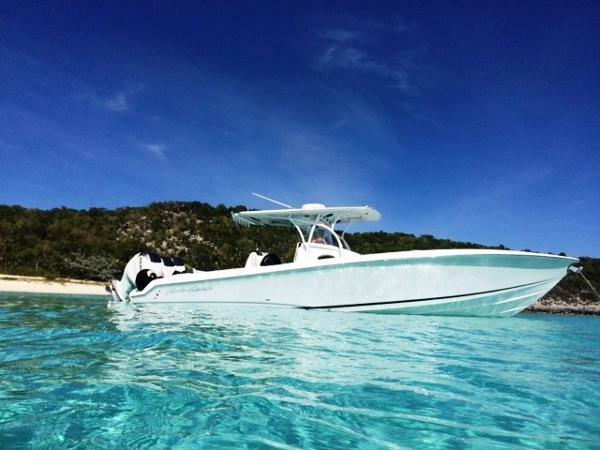 The 340 has proven itself to be the fastest and most efficient hull in its class. Top speeds in the low to mid 60 MPH range are achieved with just two 300 HP outboards. This also translates into less fuel burn while cruising . 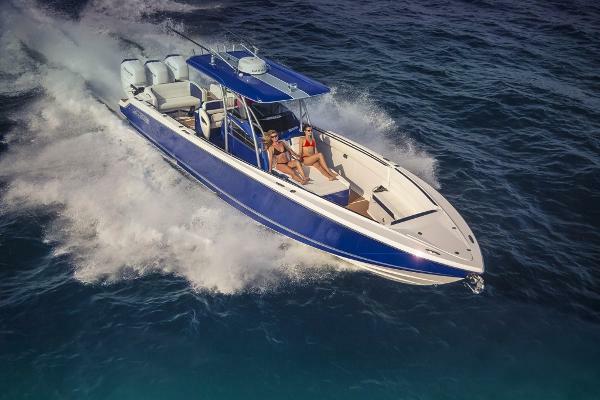 For those seeking more speed, triple 300's will carry the 340 well into the mid 70 MPH range. That said, the boat eases onto plane with little or no bow rise and can stay on plane at speeds as low as 12-15 MPH. Of course all of this performance comes with the added bonuses of exceptional rough water handling, stability and an extremely dry ride.